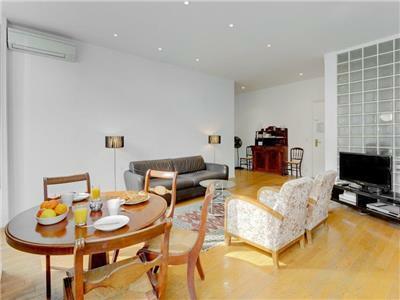 This 3rd floor south facing apartment is very spacious, modern and bright and has a very charming feel. 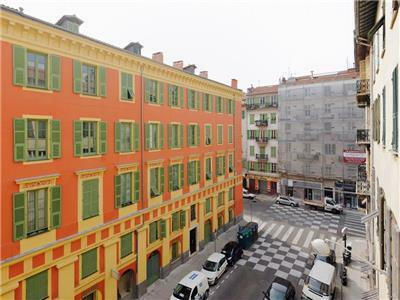 Because of 2 large full length windows is always bathed in sunshine as on 3rd floor (no lift) apartment in the Port area of Nice. On entry you have a very light and spacious living room, with a stylish leather sofabed and dining table for 4 persons and 2 original 1920's armchairs. From the livingroom there are full length glass window/doors onto a balcony which catches sun (full south) during day and overlooks quiet street below. There is a large flat screen TV and internet/Wifi free of charge - with english news channels and some English programmes, there also a new air conditioning system in livingroom and bedroom. 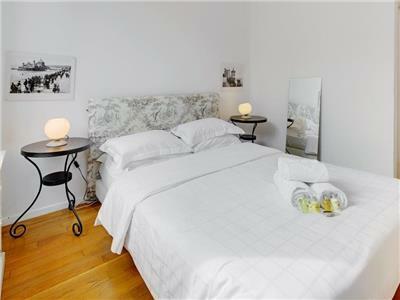 The bedroom has a very good quality king size double bed and is light and spacious - with a walk-in storage room for clothes - pictures on wall and has been very stylish furnished. 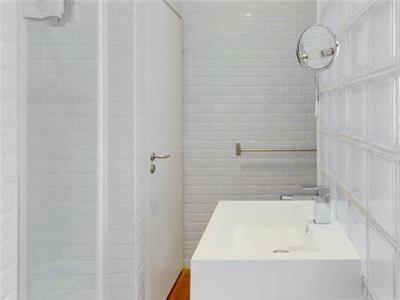 From the livingroom you enter the modern showerroom (built with glass bricks) this has shower and independent toilet - and is bright and fresh - and has the washing machine area. 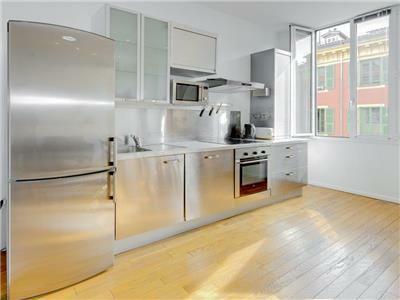 A fully equipped 'American' kitchen - with dishwasher, oven and microwave. The apartment is very secure and quiet (entry is through 2 doors - one being a full security door) It has a very stylish and modern feel - perfect for couple. Any additional services will be added to the cleaning cash payment at the end-of-your stay. 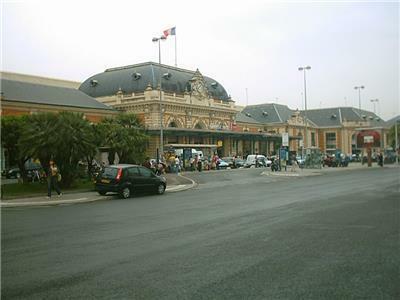 Nice central train station	 Train Station 639 m.
Place Massena	 Tourist Attraction 1050 m.
Place Garibaldi	 Tourist Attraction 1082 m.
Old Town	 Tourist Attraction 1283 m.
Cours Saleya	 Tourist Attraction 1308 m.
Nice Port	 Tourist Attraction 1601 m.
Castle Hill	 Tourist Attraction 1606 m.
Negresco Hotel	 Hotel Motel 1.61 km. 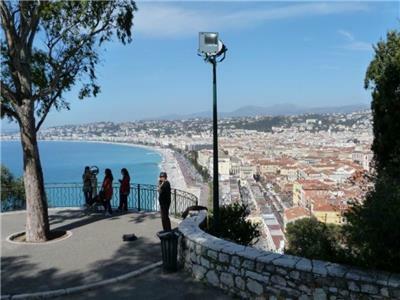 Promenade des Anglais	 Tourist Attraction 2.97 km. Lovely apartment - wonderful break! The apartment itself was lovely. Very spacious and comfortable, equipped with everything you could hope for. Modern kitchen with all the mod cons, tasteful furniture and vintage pictures on the walls, which were a nice touch! The bedroom was very pleasant, especially the super comfy bed! Plenty of storage space for clothes and other belongings. Would highly recommend staying here. Great retreat for couples wanting to enjoy a short break or longer. Especially those who want to be a close enough distance to the hustle and bustle of the town, but on a more peaceful backstreet. Will definitely be back." Nice Rue Fodere, Early February 2016 7 days. The apartment is well maintained and clean and has all amenities as offered and it is indeed ideal for couples. It is tastefully decorated in accordance with the period of its origin, all within reason and leaving enough space for the comforts of our times. The bedroom and a practical walk-in closet offers plenty of space to store your clothes and suitcases, so the apartment looks more like your home than a hotel. The bed is comfortable and there are plenty of towels in the closet, as well as extra pillows and blankets if needed. The air-conditioning, which we used to heat the apartment, works perfect in all rooms. Though the bathroom and separate toilet are small and also accommodates the washing machine, the bedroom and living room, type studio with kitchen, are larger as a result of that choice. All the equipment, wifi, television and stereo work well and there are clear instructions as how to operate all that is available. There are CD’s and DVD’s as well as a range of books to read. The kitchen is complete and very practical and we cooked several meals and did not miss much, unless you expect all your personal details like eggcups for instance. We did not use the balcony, but it does have sunshine all day and even with the French window doors closed it is pleasant to wake up with the early morning light through the windows every morning. To catch this beautiful light you are on the third floor, which does mean stairs. 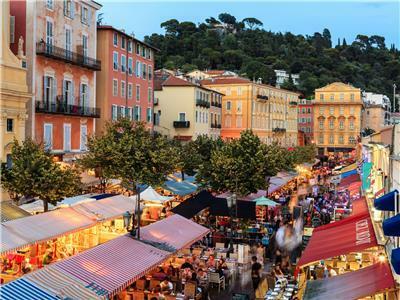 However in Nice one needs the exercise with a choice of nice restaurants all within walking distance of 2-20 minutes and in price ranges for every budget. Nice can be as expensive as wish it to be. In the same street you will find an excellent baker (opening times: 07.00-19.30 except Mondays) at 50 meters and a well-stocked supermarket (opening times: 08.00-21.00 except Sundays) at 150 meters away and yes there are shopping bags available, the owners really think of everything. 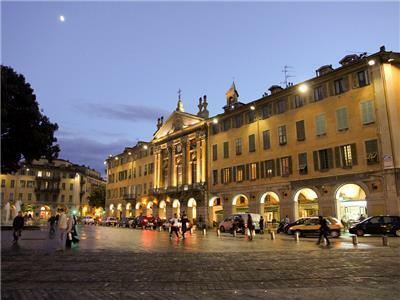 Around the corner you will find the open all day and late-evening minimarket and restaurants in all streets around you. Around the corner up Cassini to Garibaldi Square, a range of shops and restaurants to have breakfast or early morning coffee, but it takes just 5 minutes more to enter the old town with its market and terraces. This was our second stay in this lovely self contained apartment. Close to busses, trains, boats and only a ten minute walk from the beach, this central spot is very easy to navigate from. The apartment is equipped with a modern kitchen, spacious living room and bedroom, great wifi and air conditioning. 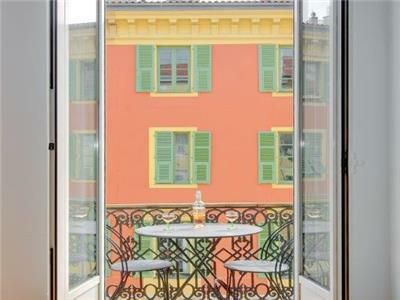 It has a beautiful balcony overlooking a local street where you can sit in the sun and watch the world go by. This is a very relaxing and comfortable place to stay where you can really feel at home. With bakeries and local restaurants on every corner and only 2 mins from the port where you can admire the dozens of luxurious boats, what more could you ask for! We will definitely be back again. 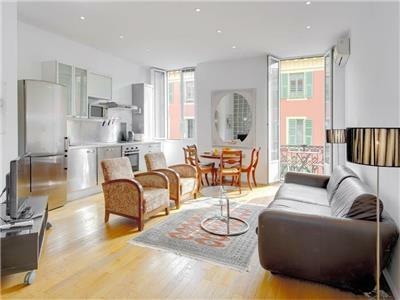 Apartment was is great location, close to buses and old town. Also near supermarket and bakeries but still very quiet too. GoNice are very good to rent from. Can collect keys at airport on arrival and leave in apartment when finished so very easy. Facilities of apartment were good such as air conditioning, washing machine etc. There is no lift so need to be able to walk up stairs. Apartment was in residential block so if expecting tourist resort stay then may not be for you. Ideal if want to go to Nice and be left alone. I think the bus from airport stops at front door of apartment. Eating out is quite expensive in Nice so good to have nice kitchen to prepare food fought in Delis. My friend and I (aged 18-24) stayed here for a week and we absolutely loved it. 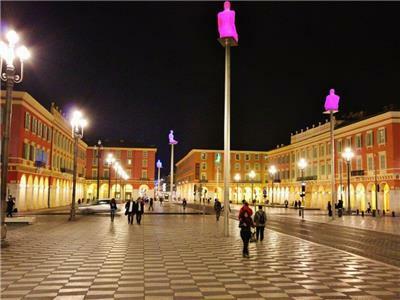 It really enhanced our experience of Nice. 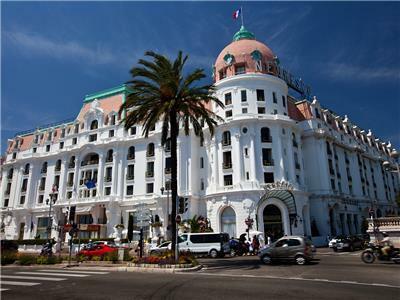 It was in a great location, with close links to the tram and it was walking distance from the old city and the beach. The photos look exactly how it is. The apartment is well air-conditioned, which was appreciated! It is on the third floor so there are three flights of stairs to climb. 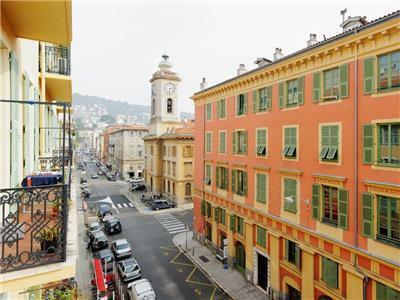 I would definitely recommend this apartment to a friend, and I would love to stay here again when I next come to Nice. Booking and arrival instructions were good although the small hall outside the flat could do with a light. 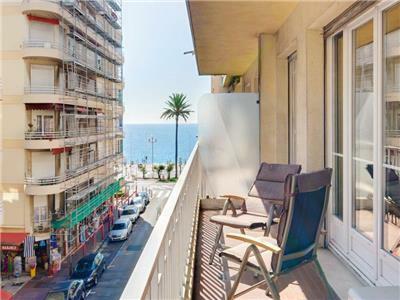 It is a well situated flat for the port, walking (10+ minutes) to the beach and bus stop to get to Monaco close by. There are plenty of shops and restaurants nearby. 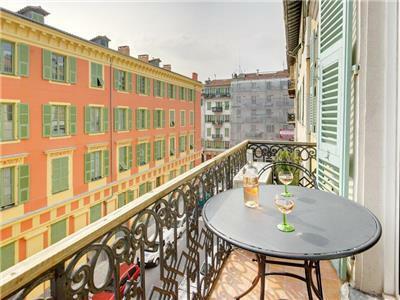 If you book this apartment you will get a good experience of Nice. 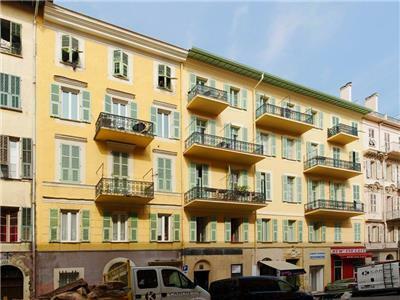 Spent a wonderful 10 days in Nice staying in this apartment. As other reviews have said the location is excellent. Surrounded by bakeries for morning croissants and lunchtime baguettes. 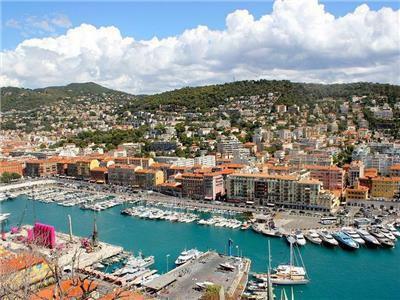 10 minute walk to the old town or train to Cannes. Right beside the port with loads of nice restaurants and boats. Buses to Monaco also go every couple of minutes from the port. The apartment is excellent, nice balcony and great kitchen for cooking. The welcome basket was a nice treat after a long day travelling. We can't wait to return and would highly recommend this apartment. Stayed in this wonderful apartment for 5 days last May and was not disappointed! Well equipped and very clean the apartment was perfect for our stay in Nice. 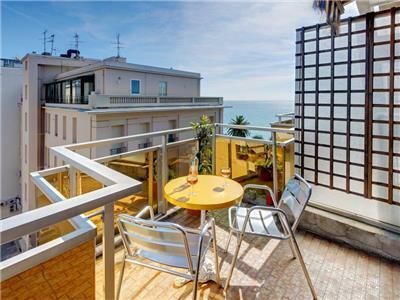 Ideally located a short stroll away from the port, the promenade, shops and restaurants I would highly recommend this apartment to anybody looking to visit the area. My wife and I stayed for a week in august. 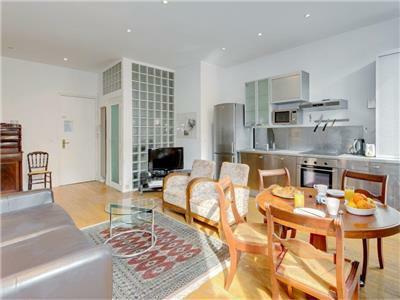 The location is ideal, the flat was clean and exceptional value for money. We have both agreed that we will never stay in a hotel again! It was wonderful to be left alone, to never be disturbed, and to experience 'real' french living. 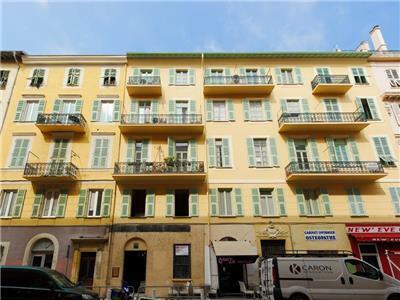 We would both recommend this flat to anyone looking for somewhere to stay in the south of France. Stayed in Rue Fodere for a week in June 2012. 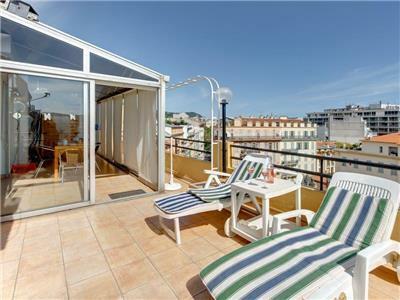 Nice, functional apartment about a 2 minute walk from the port area, 5 minutes from the old town and prominade. if you are coming from the airport get the 98 bus to the old port and then its a 2 minute walk. There are 3 flights of stairs leading to the apartment which are a little tiresome but one of the few drawbacks of this property. Apartment has a little balcony which gets the morning and midday sun which is nice. The apartment has aC and is well equipped. The bathroom could do with some upgrading (especially the sink) and the owners need to remove their clothing from the premises during rental periods but apart from those small things its a very nice place to stay. We chose this apartment for it's location near to the Port (in fact it was just around the corner) which was ideal and for the fact that it had a balcony which we though we'd make plenty use of! 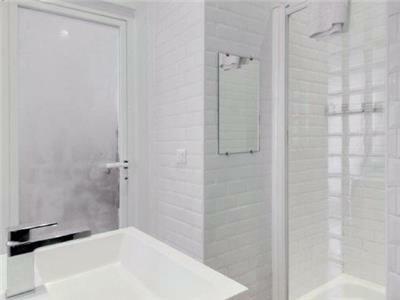 The apartment is perfect, good sized kitchen, the shower is excellent and the bedroom was a very good size. The 3 flights of stairs to the apartment made for a good workout after having a lazy day! We weren't used to hearing bins being emptied in the early hours of the morning, but luckily with air conditioning units in the apartment, it meant we could close the windows to the noise and we had a good night's sleep. We wouldn't hesitate in staying here again. 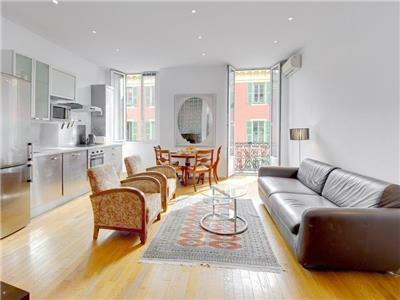 Lovely location on quiet street with 3 boulangerie on your doorstep. Good to be out of old town but in very close proximity to all that it offers. Balcony a bonus for breakfast before the sun gets too hot. Busses 1 min walk away which go all along the coast for only a Euro! Flat is clean and has very well equipped kitchen for all that you'd need should you need a break from eating out, easy booking process, helpful and good communication at all stages of the process. Great stay, thank you and definite recommendation on all counts. We really enjoyed our stay in the apartment at Rue Fodere. The apartment is modern and light and well equipped with CD player, washing machine, microwave, etc. We enjoyed many evenings sitting on the balcony watching the world go by drinking the local wine. The aparment is on the third floor which means a lot of stairs, but my 8 month pregnant partner and 2 year old son didn't complain at all. 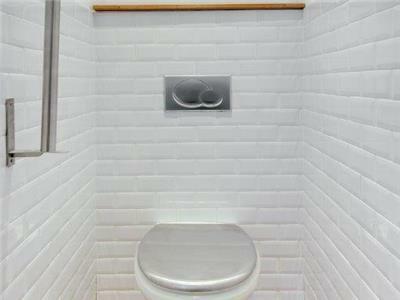 The location is superb overlooking a quiet street and church. There is a bakery, pizza restaurant and bar within a minutes walk and a large supermarket is at the end of the road. The harbour provides many more restaurants within 5 mins walk. Buses to the town centre and to the beach leave opposite the apartment and most buses leave from the harbour taking you to Monacco and anywhere in Nice for only 1 euro per trip. Go-Nice were excellent and Paul Manion of Go-Nice met us and gave us our keys as we got off the train. We also foolishly locked our passports in the apartment when we departed, but luckily Paul was able to get them to us quickly without any complaint. In summary, a great holiday in a lovely apartment run by an expert team. 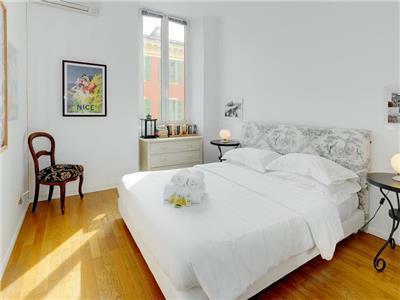 This is a very pleasant appartment, clean, bright and suprisingly spacious. 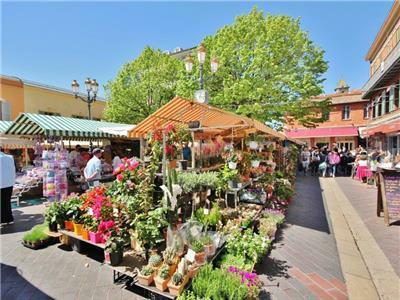 It is very close to the old port and a pleasant 10-15 minute walk to the beach or old town and a few minutes more to the main shopping area. There is a bakery, two quiet bars and a reasonably sized Intermarche within a few blocks. 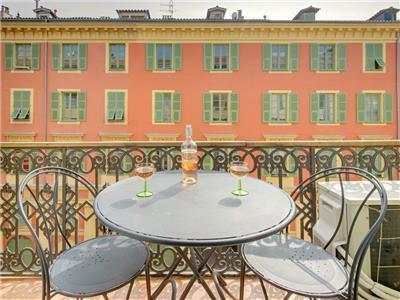 A perfect position to enjoy real French life, we could even hear a chap play his accordian in the block opposite from the balcony, how French is that! The AirCon was very welcome during a hot August week. Be aware that being on the third floor means six flights of stairs, daunting on arrival with luggage but by the end of the week our fitness level had improved so much that we hardly even noticed them. We had a fine week in the apartment Rue Fodéré 5, on street away from the port and 10 minutes from the old town and the promenade. It is a typical house as you find it in the south of France. The living room with the kitchen is well appointed, so we cooked there every day. The apartment is very clean and in every room is an air conditioner. We got a welcome present (cookies, wine, sweets) and many information's about the region. There was only one point to criticize: The stairway is not so comfortable as it could be. 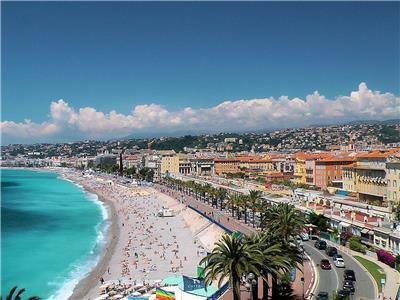 But all in all it was a very nice holiday and we had a lot of fun in Nice.